As a small business owner, it is your responsibility to make sure that you take the best possible care of your business. Although you might think that you have taken care of everything, you are really putting your company at risk if you haven’t invested in a small business security system. Therefore, you should certainly consider looking into small business security systems installation in Fort Lauderdale, FL if you haven’t already. Although it might seem more than a little bit stressful and overwhelming to look into security systems, doing so is much easier than you think and can provide you and your business with a lot of different advantages. Why is a Small Business Security System so Important? A lot of people don’t take security and safety for their businesses seriously because they have never been put in a situation that really made it necessary. Just because you have been getting by without making your business more secure doesn’t mean that security and safety aren’t important, however, so make sure that you don’t take any more chances. Instead, invest in a small business security system. You don’t have to spend a lot of money on a system, but you do have to invest in one that can be depended on to work well and that will last you for a while so that you can keep your business safe. There are a few reasons why small business security systems are important. For instance, small business security systems can help prevent you from losing out in a crime, and they can give you a leg to stand on in the event that someone does commit a crime somewhere inside of your commercial building or in the vicinity around it. Security camera systems can also make you feel more secure about your business and can make your customers feel safer, which can be good for business while providing you with other benefits as well. Does Your Business Need a Small Business Security System? If you have a very small business or if you are there most of the time, you might not think that you really need a small business security system. You might also think that a security system is unnecessary for your business if it is located in what is known as a good and low-crime neighborhood, but you shouldn’t make any assumptions. Regardless of the type of business that you run, how closely you keep an eye on things, the size of your company or where it is located, you can still benefit greatly from a small business security system. What are the Benefits of Installing a Small Business Security System? Countless benefits can be had if you install a small business security system in and around your commercial property. One of the first and most immediate advantages that you can enjoy is peace of mind. Once you know that you are doing everything that you can in order to protect your business, you are sure to feel much more comfortable and much safer. Along with feeling an instant feeling of peace of mind, you will also be able to let people know that you are serious about safety and security right away. You never know if someone has been scoping out your building and thinking about committing a crime, but they will be much less likely to do so when they see you take these security-related measures and when they realize that they will be captured on “tape” in the event that they do commit a crime. From petty thieves and shoplifters to burglars and more, a surprising number of people might abstain from committing a crime that they were thinking about committing once they see that you have put in security cameras, and you might prevent more crime than you think just by doing so. Next, you can address any crimes and other mishaps that go on inside of your business once your security cameras are in place. A few brave shoplifters might still try to get away with something in your small business if you aren’t careful, but your surveillance cameras will help capture the proof that you need in order to confront and prosecute the individual for his or her crimes. Even if a more serious crime occurs, such as armed robbery or something equally as serious, you will be able to do a lot more about the situation if you have a small business security system in place. Another thing that you might want to pay attention to is employee theft. Most business owners want to think highly of their employees, especially if they are family members or people who they know well and like a lot. However, you have to realize that employee theft is surprisingly common, and it can cause you to lose a lot of money and stock. Over time, you could even lose your business if you don’t have surveillance cameras in place in order to deter and put an end to employee theft. Posting surveillance cameras all over your stock rooms and over your cash registers can really help you to keep an eye on things to make sure that you aren’t losing any of your money or valuable stock to your employees. Keeping an eye on what is going on outdoors is also important, and it can be difficult for you to do, even if you do spend a large portion of your day at your business. Some people try to vandalize properties, for instance; although this might seem like a minor and pesky annoyance that is caused by bored teenagers, it can also make your business look bad and can cost you a lot of money in repairs. More serious crimes are sometimes committed in parking lots, even in safe areas, and security cameras can help protect against these issues as well. You can also get another view of people who enter and exit your commercial property with outdoor surveillance cameras, which can provide you with more evidence and proof if something does happen inside or around your small business. Lastly, you should look at the smaller — yet still important — advantages of having a small business security system in place at your small business. 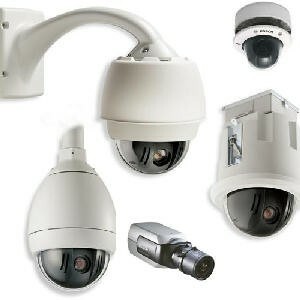 For instance, you might qualify for some sort of special rate or discount with your commercial insurance company if you can prove that you have installed security cameras, which can help you make back some of the money that you have invested in your security camera system over time. What Kind of Small Business Security System Should You Look for When Securing Your Fort Lauderdale, FL Business? There are a lot of different security camera systems out there, and you might be tempted to go down the cheapest route possible. Although there are certainly good uses for cheap security camera systems, you should probably consider purchasing something a little bit better for your business. For instance, instead of investing in a cheap and small wireless security camera system that you can link to your computer, you should look for a sturdy standalone digital video recorder unit. If you purchase the right unit, you will have the capabilities to either hook the unit up to a monitor and watch it from your business or you can even link it to the wireless Internet in your building in order to stream your footage to your computer. This can be especially helpful if you travel a lot and want to know what is going on at your business or if you worry a lot about your commercial property when you are at home. Along with investing in a digital video recorder, you should also look for good security cameras that will capture excellent footage of your commercial building. With the right security cameras, you should be able to see everything that is going on in and around your business, and you can easily position them if you invest in wireless cameras. When purchasing your wireless security cameras for your small business, make sure that you look for units that work properly with the digital video recorder that you have decided on. Also, look for units that switch from daytime to nighttime view automatically — when you can purchase these units, you won’t have to worry about missing out on any important footage because of a lack of lighting, and you also won’t have to worry about installing lights around the cameras. Lastly, make sure that you invest in a cover for any outdoor cameras so that they don’t get ruined, even if they are placed underneath a shelter. Along with looking for a cover, you can actually look for outdoor use cameras that are sturdy enough for use outside. Once you have invested in these important components, the rest will be easy. You will need a monitor in order to view your surveillance camera footage, but a simple computer monitor should work perfectly as long as you can get a good picture on it. You will probably also want a wireless router, Internet access and a computer or other similar device in order to stream your footage from other locations if your digital video recorder allows it. Although you might not think that you will use this feature at first, you will be happy to have it if you are at home worrying about your business one night or if you go on an extended trip. Should You Hire Someone for Small Business Security Systems Installation in Fort Lauderdale, FL? If you are pretty good with electronics and think you can set up your own security camera system, this is something that you should consider doing. It doesn’t take a very long time to install a security camera system, especially if you invest in wireless cameras, but make sure that you take your time when installing your system. Taking the extra time to position your cameras properly will be well worth your while in the long run, and carefully hiding any wires if you are using wired cameras is also an essential. There is nothing wrong with hiring a professional for small business security systems installation in Fort Lauderdale, FL, however. Whether you don’t feel confident in your ability to install your equipment yourself or if you simply would prefer to leave it up to a professional, there are plenty of companies out there that are highly experienced in small business security systems installation in Fort Lauderdale, FL. By hiring one of these companies, you can feel confident in knowing that the system is being installed properly and that you have a professional on your side who can answer your questions and help you in other ways. How Do You Choose the Right Company for Small Business Security Systems Installation in Fort Lauderdale, FL? When purchasing the equipment for your small business security systems installation in Fort Lauderdale, FL, consider working with a company that is experienced in helping business owners to purchase the right systems for their needs. When you work with one of these companies, you will have a bigger selection of products to choose from and will be able to get professional tips, tricks and advice about choosing, installing and using your small business security system. If you have decided to have your system installed by a security-related professional, you should consider talking to someone from the company where you are purchasing your system from. Some companies offer free or affordable installation when you purchase a system from them, so you won’t have to worry about shelling out a lot of money in order to get an installer. Hiring someone from the same company where you bought your equipment from can also help ensure that the person who is installing your equipment actually knows what he or she is doing and is comfortable with the specific equipment that you have purchased for your small business safety and security needs. Contact us today and learn more on ways to protect your small business from any burglary or robbery attempt.